Chevrolet will launch Class 4 and 5 conventional medium duty trucks in calendar year 2018 as 2019 model year vehicles. 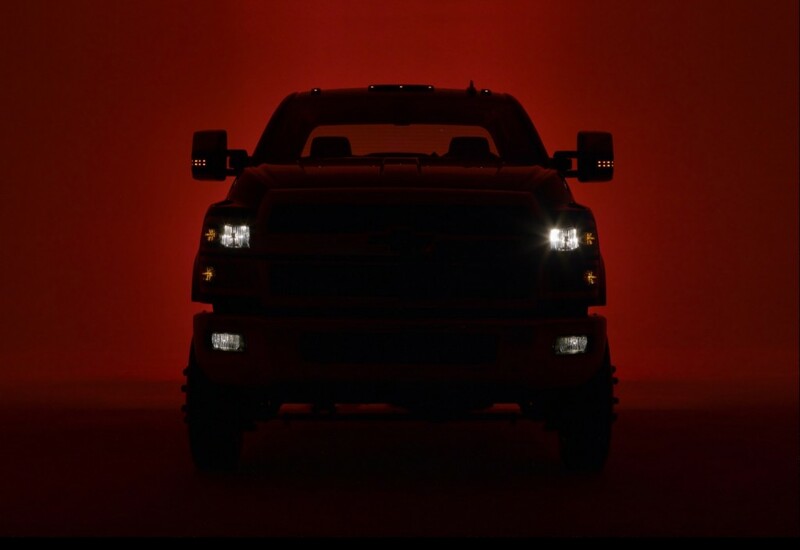 The brand also began referring to the truck as “Silverado 4500HD” and “Silverado 5500HD”. By comparison, the brand referred to the truck simply as “Silverado 4500” and “Silverado 5500”, without the HD moniker, in its aforementioned September announcement. Since then, GM Authority has confirmed that the official name of the trucks will, in fact, be “Silverado 4500HD” and “Silverado 5500HD”. We expect that the Duramax engine that will be used in the Silverado Medium Duty Trucks will be none other than GM’s new 6.6L Duramax Turbo-Diesel L5P engine. In the 2017 Chevrolet Silverado HD, it makes 445 horsepower and 910 pound-feet of torque. Chevrolet has confirmed that its upcoming Medium Duty conventional trucks “will launch in late 2018”. As such, the vehicles will likely be designated model year 2019. The Chevrolet Medium Duty truck will be offered as conventional truck with an engine/hood-forward design and be available in Regular Cab and Crew Cab configurations in various wheelbases and GVWRs. We expect the upcoming 2019 Chevy Medium Duty trucks to have a base price in the $50,000 range for the work truck configuration and reach as much as $100,000 for the range-topping model. It is currently unknown whether GM’s GMC brand will get a variant of the 2019 Chevrolet Medium Duty truck. Given that GM is co-developing the upcoming 2019 Chevrolet Medium Duty Truck with Navistar, we expect that Navistar will also sell its own version of the truck, potentially as the next-generation International Trucks DuraStar. The 2019 Chevy Medium Duty Truck will likely be manufactured by Navistar in the United States of America. One of the more likely facilities to make the truck is Navistar’s Garland, Texas factory. Discuss the 2019 Chevrolet Medium Duty Trucks in our Chevrolet forum.